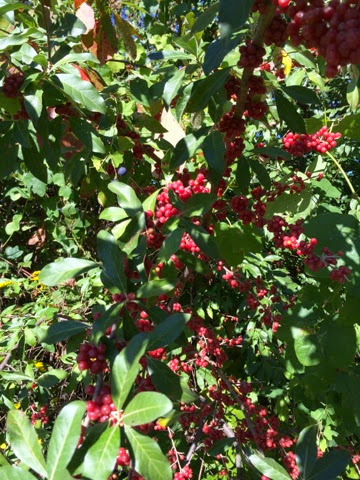 I was enjoying the glorious fall weather while walking on my farm and took several pictures of the plants. I knew many were invasive, or not native to Missouri. This one appeared to overtake the rest of the plants in the fence row. After completing a search on MDC's website I found the following information. I may not be successful ridding this invasive plant from my farm, but I'm going to try. I plan to replace it with native plants that will thrive in its place.